When reading about pregnancy, you may have come across these terms - ‘oxalate’ and ‘oxalic acid’. In many articles and posts online, these two terms are often used interchangeably. However, there is a tiny difference between the two - oxalate is actually derived from oxalic acid. While this means that there is a difference in their chemical composition, there is no significant difference in the way the two affect our bodies. All the above factors increase the risk of developing kidney stones in pregnant women. To add to this, oxalate in our bloodstream binds with calcium to form calcium oxalate crystals, commonly referred to as kidney stones. So if food sources with high amounts of oxalate are taken during this time, the chances of developing a condition called hyperoxalemia arises. In this condition, we have an excess of oxalates in our bloodstream that lead to kidney stone formation. Kidney stones, besides causing pain and discomfort, lead to an increase in possibility of a premature delivery or an abortion. They also lead to a host of other problems, like inflammation and irritation in tissues and mucous membranes. Treating oxalate stones during pregnancy presents another big challenge. While the diagnosis/treatment requires an X-ray or CT scan, the radiation involved is hazardous for the fetus during the first three months of pregnancy. That’s why it’s a better idea to prevent the formation of oxalate stones in the first place by staying within safe limits. Although, if someone is suffering with the condition of primary hyperoxaluria, a rare inherited condition in which stones are formed because excess amounts of oxalates are passed through urine, staying within safe limits alone may not help. 20-40% of the oxalate in our bloodstream comes from the oxalates contained in the food we eat. 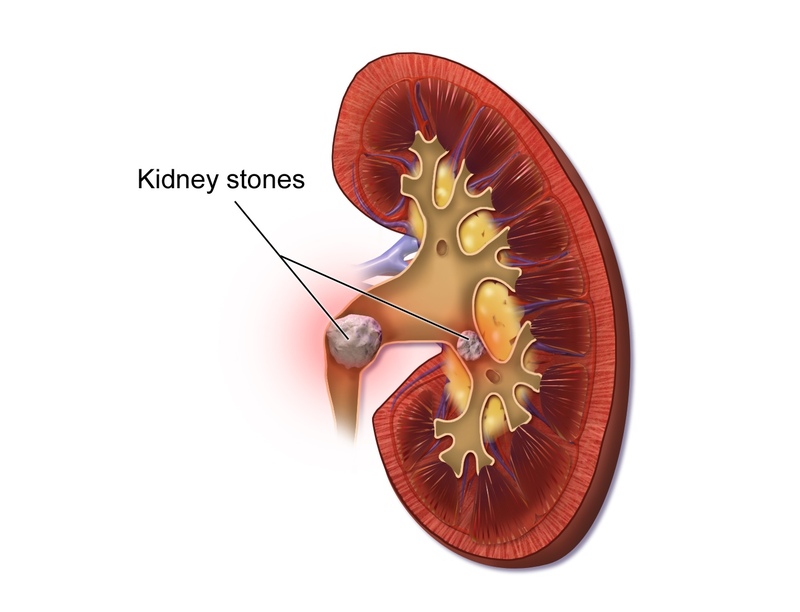 You may develop the risk of kidney stones if you are taking more than 25 mg of oxalates per day. While both plant and animal foods contain oxalate, the highest concentrations are reported in plant sources. Rhubarb, for instance, contains around 500 mg of oxalate in just 3.5 ounces of it. Then there are spinach (750-800 mg) and beet greens (600-950 mg). Other food items high in oxalates include wheat bran, chocolates with more than 50% cocoa, soy milk, tofu, cranberries, almonds, cashews, sweet potatoes, lettuce, fennel, and tomato, to name a few. And if we talk about beverages, black tea has been found to contain about 50-100 mg of oxalate per 100 ml, which is quite high.